Using SMS is an effective way for you to reach all your customers at once while personalizing these messages for each customer. 1. Go to SMS at the top of your page. 3. Enter the recipients numbers. 4. Select a sender ID or add a new sender ID by clicking Add Sender ID. The sender ID is the name the recipient will see as the sender of the message. 6. 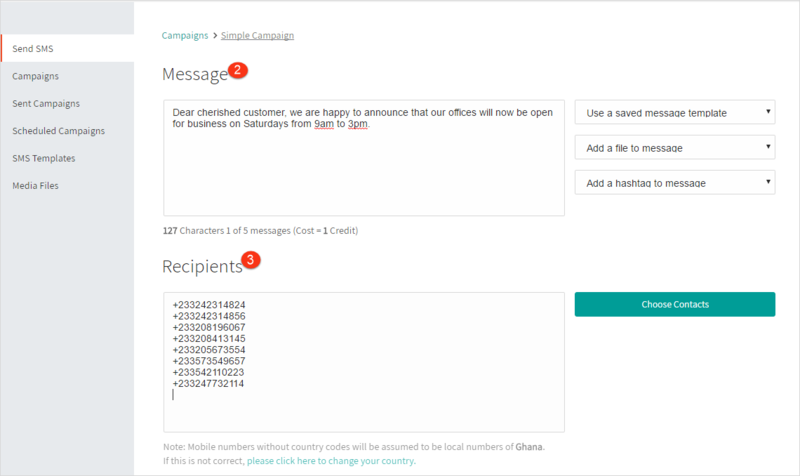 Check if your message details are correct and click Send Message to send your message.